Baron Fig sent me one of their brand new limited edition Confidants, the Unfinish edition. I have been testing this out for the past couple of weeks but I want to point out that all the views in this review are completely my own. The Unfinish edition has a beautiful blue cover with blank pages that are scattered with unfinished images. The idea is that unfinished images inspire you to doodle. 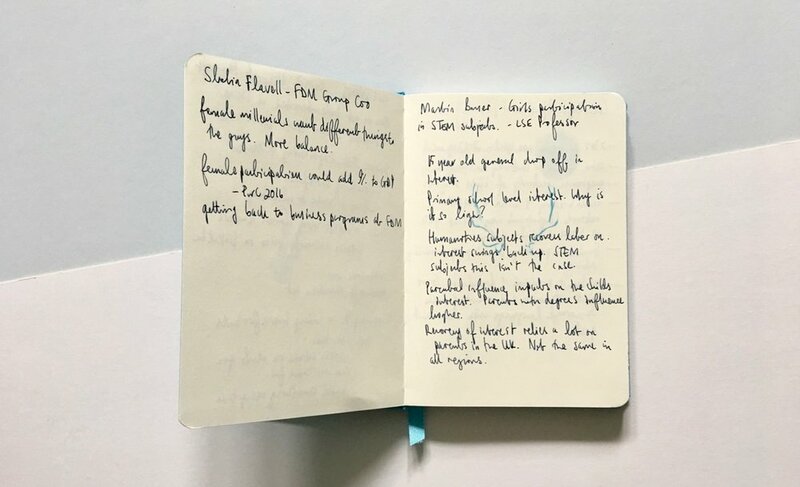 It’s a great concept for a notebook and another example of how Baron Fig are pushing the boundaries, in particular with their Confidant notebooks. (See the previous limited edition Askew). The colour of the cover is stunning, but beyond that I was a little disappointed. The spine on my notebook had some puckering which I have never experienced on any previous Confidant. It’s a bit of a shame because it detracts from the otherwise high quality finish. I was also thrown by the paper stock, it didn’t feel as textured and thick as other Baron Fig products. Initially I wondered if this had something to do with the unfinished images or whether Baron Fig had changed up their usual paper stock. After these initial concerns I focused on the unique element of this notebook, the unfinished images. I wasn’t expecting these to be photographic images, I presumed they would be drawings. Because they are sections of photographs I did find it hard to make out the detail. The images became blurred and faint in part due to the blue ink colour. I am sure my poor eye sight plays some part in this. I also get that perhaps I shouldn’t be paying that much attention to these images, they are for inspiration rather than close examination. After using the notebook in a number of different ways I liked it a lot more. Last week I used it for note taking at a conference ignoring the images and writing over them. The images are easy to ignore due to their blue colour as promised and my fountain pen ink didn’t seem too troubled by the blue ink. It looked as though it may smear but given a little time it dried fine. I have also used the Unfinish notebook as a sketchbook. 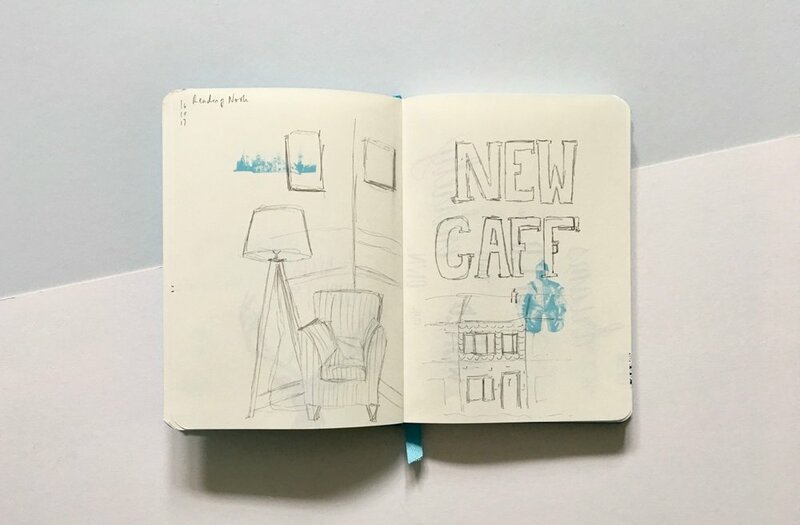 On the odd occasion I expanded on the images in the notebook but I am not a natural doodler and sometimes it just required too much brain power to think about how I could expand on the image (I am fully aware of how lazy that sounds). I have mostly used this to practice some hand lettering and outline a few things I am messing around with. For this purpose the notebook works really well with its blank pages and again I completely ignore the images if I don’t need them. My concerns about the paper were wrong. The paper handled my fountain pen without issue, there was no ink bleed through or feathering. I also used brush pens which without any issues which was a little surprising. There was some show through but based on the dark black ink and the weight of the lines I think thats acceptable. Pencils are fab in this notebook, but again no surprises there. Paper comparison against 2 different Vanguard notebooks. Everything looks as it should. Baron Fig’s limited edition Confidants are always good. Every one they have released looks great and the Unfinish edition is another solid Confidant release. The colour is stunning and the blank pages while not universally popular make sense for this edition. 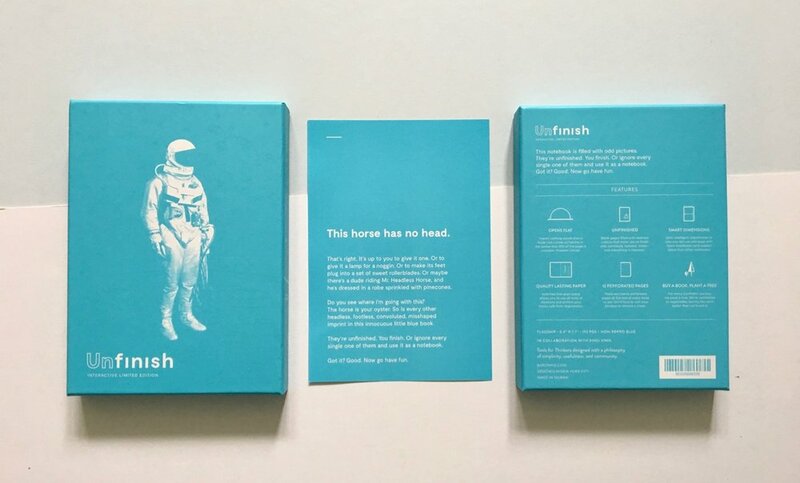 The Unfinish edition is not their strongest release but the concept is interesting and solid, it’s just perhaps one that will polarise opinions. 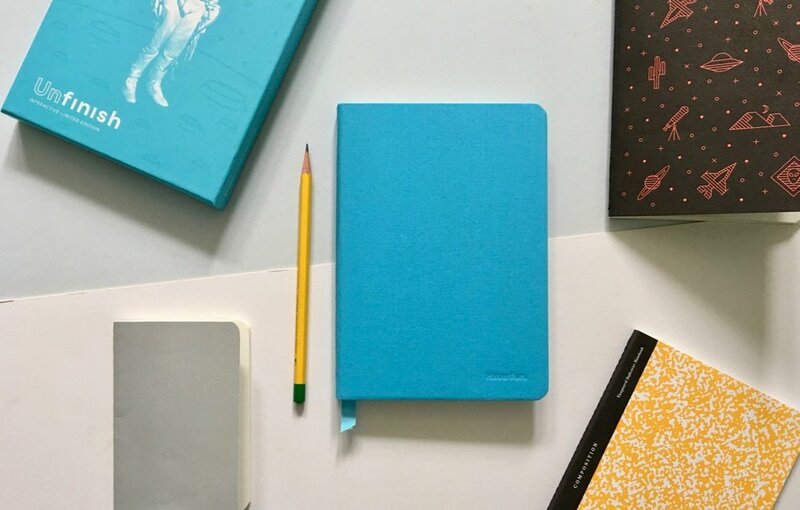 I like that Baron Fig continue to think differently with the products they release and push boundaries, it makes them stand out from their competition by offering a paper product thats a little different.